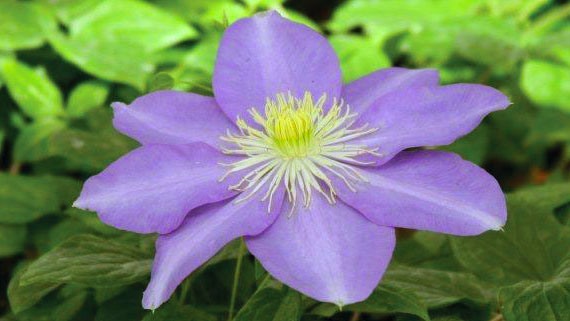 Gorgeous blue-violet colored flowers with a white tip on the end of each tepal, having 6-8 tepals, the flower diameter is a large 15-16 cm (6”). Creamy white anthers in a large cluster accents this lovely clematis. Flowering period June to September. Foliage a fern green. Parentage is a seedling of possibly ‘Isehara’.